Between the black and white extremes of good and evil there are many murkier shades of gray, which are only rarely explored in gaming. Not only does Vampyr explore these subtle shades, it adds another colour into the mix: red. The main character, the respectably named Jonathan Reid, is a surgeon who has dedicated himself to saving lives, but since being unwillingly turned into a Vampire, he must balance his mortal sense of morality with his new, powerful, undeniable thirst for blood. 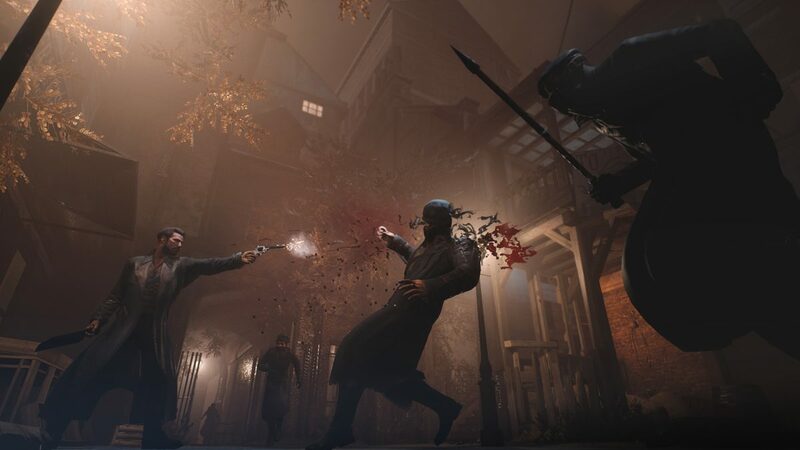 We live in a world where questions of class, nationality and identity divide us profoundly and I don’t think it’s any coincidence that the developers of Vampyr chose to explore these divisions in the war-weary London of 1918, a hundred years before our present. Exploring our bitter divisions through interactive storytelling is ambitious enough, but adding the complexity of relations between mortal and immortal makes Vampyr one of the most ambitious games I’ve ever played. What really makes Vampyr unique is how intricately it simulates each community you enter. The blighted London has four inhabited districts you can visit: Whitechapel, the Docks, Pembrooke Hospital and The West End. Every character in every community has a detailed backstory – none of them are just faceless, generic NPCs. If you take your time to talk to each character, you’ll find telling clues, which you can in turn use to find more clues to the backstories of other characters, unveiling webs of secrecy. There are countless intricate secrets to uncover: marital infidelities leading to secret lovechilds, soldiers who’ve hidden their gay affair and preists who turn out to be murderous hypocrites. Using various gubbins you loot from the corpses, trashcans, and conveniently accessible, unlocked treasure chests, you can create various curatives for the ailments of the citizenry. This is of crucial importance as every time you rest at a safehouse to use the experience points you’ve accumulated to gain new skills, there’s a chance that there will be an outbreak of disease. 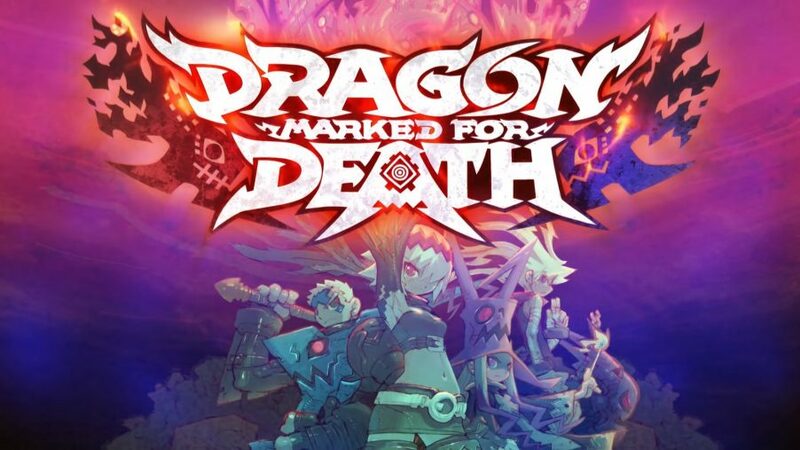 This creates a powerful sense of urgency, as every sick citizen lowers the health level of each district, leading it closer to becoming chaotic and hostile, and overrun by monsters. It’s honestly pretty incredible that not only are there such a huge number of NPCs with detailed backstories, you also have the ability to provide either salvation or perdition to all of them. Those who long for a true simulation of the dark themes of vampire fiction will find they are catered to like no game before. As you’re constantly reminded, though Jonathan is a doctor who prides himself on helping others, he’s plagued by his hunger for human blood. The more clues you find on each character, and the better you keep their health by providing them with medication, the more experience points they yield should you choose to drink their blood. This provides a rather marvellous sense of immersion for whatever kind of player you are. If you’re a determined goody-two-shoes like me, you’ll try your very best to avoid consuming the essence of the innocent, and frequently find yourself tempted by how many thousands of valuable experience points you’re passing up in favor of abstinence, reflecting Jonathan’s own dilemma. However, if you delight in playing the vampire, you’ll enjoy the wicked game of learning the secrets of each mortal, gaining their trust, keeping them healthy only because you’re essentially fattening them up like cattle. Then comes the fateful moment when you mesmerize them, leading them puppet-like into the darkness, sinking your fangs into their neck, reveling in the incredible amount of power you gain as a result. There are, of course, consequences for every life you take. 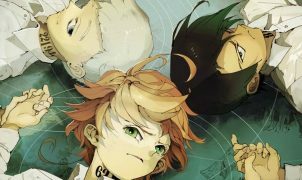 Each character has friends, relatives and associates, and the effects your actions have can often be unforeseen, profound and devastating. The freedom I had to take lives genuinely shocked and surprised me. Pretty much every character can be use to slake your vampiric craving – even key allies who are plot-essential early-to-mid-game are consumable when your mesmerize level becomes powerful enough. You can even have Jonathan slake his thirst on his best friend’s daughter or his own mother! Just as you have incredible freedom, you also have a profound responsibility. Though I tried my best to remain righteous in my playthrough I found that key storyline decisions had effects I couldn’t foresee, and I ended up causing harm when I’d intended to do good. 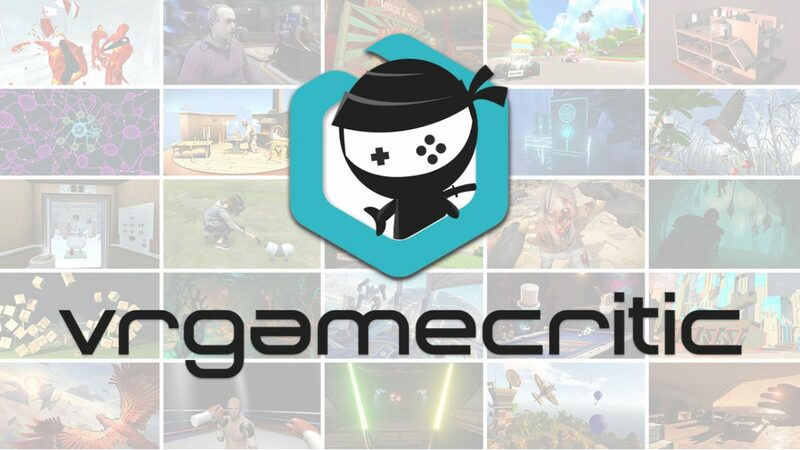 The fact that the game is single-save, auto-saving after every decision, you’re denied the ability to simply go back to an earlier save after a regrettable decision, and you’re forced to live with whatever you decide. The dialogue is so superbly written, I felt like it certainly couldn’t be any coincidence that Jonathan’s tortured, regretful mind mirrored my own contemporary worries as a fellow middle class English liberal Jonathan! Jonathan is driven by the ostensibly noble aim of curing the plague that has afflicted London. 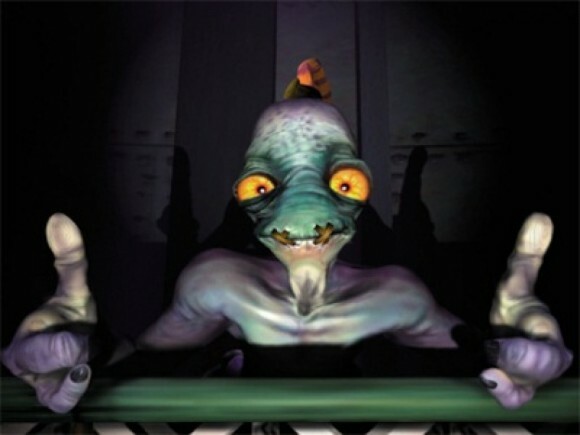 However, instead of many games where each NPC is simply a quest-giver who loves you the moment you do a task for them, many characters don’t like Jonathan, and don’t want his help. Vampyr is richly steeped in the history of its period and its enthic and socio-economic divides. Some characters see Jonathan as a snooty gentry prig or class enemy. One soldier snippily remarks that since Jonathan was an officer in the war: “You ain’t fightin’ the same war I was, mate”. Jonathan shows a barely concealed contempt for the religious or those who blame their problems on immigrants, certainly seeming aloof at points. He’s not a perfect hero providing salvation to a grateful public, but a nuanced protagonist trying to navigate a painfully complex world where he’s frustrated at the resentment of those he wants to help. At certain stages, I decided that using Jonathan’s mind control powers to resolve certain situations seemed like the best option, and it’s moments like these when Jonathan’s aloofness became quite terrifying as he berates and demands submission to what he sees as his superior sense of morality. And one of the horrifying consequences of these choices still makes me shudder with guilt as I write this. As the story progresses, I was disturbed and intrigued by the ambiguity of whether Jonathan is acting out of his mortal sense of righteousness or whether he’s embracing his role as a pure-blooded Vampire in manipulating and dominating others. Vampyr’s story is so brilliant because it mirrors our own contemporary dilemmas: It’s often tempting to want to use our power to override what we see as ignorance or prejudice, but trying to do so often creates unintended resentment, and we’re always undermined in our good intentions by the temptations of our baser nature. I felt like whether Jonathan was a sanctimonious hypocrite or a flawed hero struggling to do the right thing was genuinely my own wonderful and terrible responsibility. When you first start facing denizens of the night on London’s blighted streets, you’ll really start to feel the consequences of how much, or how little you’ve chosen to indulge your bloodlust. 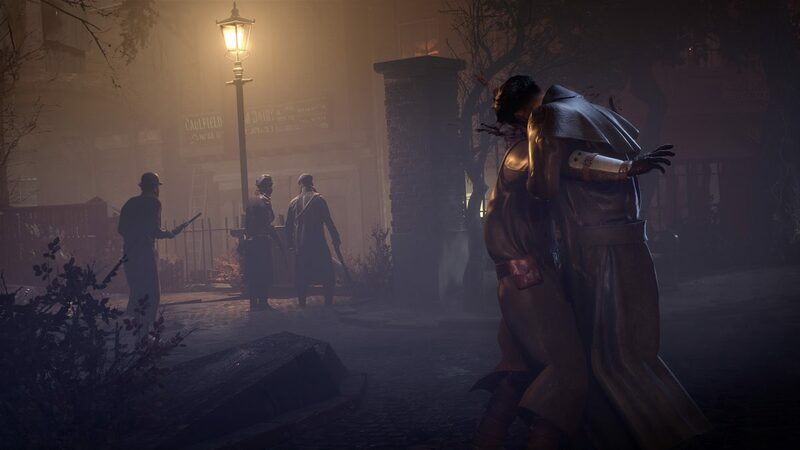 Unlike many games with levels and RPG-like character-building, Vampyr doesn’t close you off to more difficult challenges just because your level is low: the combats are simply more difficult when you engage in them. Since I avoided drinking the blood of any citizens as much as possible, it wasn’t uncommon for me to be facing off against foes ten or more experience levels higher than myself. And they’re challenging indeed. Combat in Vampyr is your standard third-person brawler affair with one key difference: the blood meter. Other than the occasional rat you can chow down on for a paltry amount of blood (and some derisive commentary from Jonathan), refilling the meter will require some in-combat neck-nibbling to keep you flush with claret. 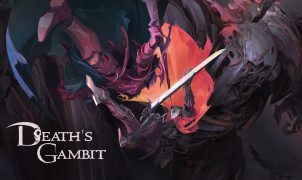 This mechanic makes every combat a desperate balancing act as you struggle to find opportunities to stun opponents using specialized weapons like the stake so you can deliver a bite. If you miss chances to slake your thirst, you won’t be able to use crucial abilities like apotheosis, which sacrifices some blood for a crucial health boost. You’ll certainly need every ability you have as combat is lethal. Whether it’s a vampire-hunting Priwen guardsman’s flamethrower or a hulking, crazed werewolf-like Vulkoid’s claws you’re never more than a few hits from death. Since you’ve also got to keep an eye on your stamina for each dodge and melee attack, each combat requires excellent situational awareness and it’s easy to die if you take any combat lightly. I really enjoyed how this made every sojourn into dark tunnels or chaotic streets of London a foreboding – and never grindy – experience. The upgrade trees reflect the overall emphasis on pivotal choices. Many minutes I spent biting my nails trying to figure out the most well-rounded choices for upgrades. One of the early skills I took was “Blood Mist”, which creates a concussive explosion of blood, damaging adversaries in an area of effect. But this had two upgrade paths: either a vortex that drained blood from opponents, or simply a more powerful explosion. I chose the vortex as this helped to keep me topped up with the red stuff without having to resort to going for risky bite attempts as much. It’s entirely up to you to best synergize your abilities and you’ve got the freedom to screw yourself over just as much as you can screw over others if you get it wrong. At the apex of abilities are “ultimate abilities”, which are truly a joy to behold. My ultimate ability hoisted a writhing foe up into the air with tendrils of shadow before impaling them Vlad-style on a darkened spike. However, the cooldowns are so punishingly long on these important abilities, they’re seldom played trump cards at important moments rather than game-breaking. Likewise, crafting is just as much dependent on how you choose to prioritize your limited resources. Nigh-on every weapon can be upgraded to a higher tier, but upgrade components are expensive to buy or scarce to find. At each tier there’s a choice of what sort of upgrade you want, whether it’s increasing a bludgeon’s damage or instead adding a little bit of stun to augment your efforts to land a bite. Death is particularly brutal in Vampyr so bringing the right gear to each encounter is crucial. If you die in a boss fight, you’ll respawn nearby loosing all your blood, any bullets you’ve fired and any restorative serums you’ve used on yourself, but you’ll have to fight the boss who’s at full health once more. 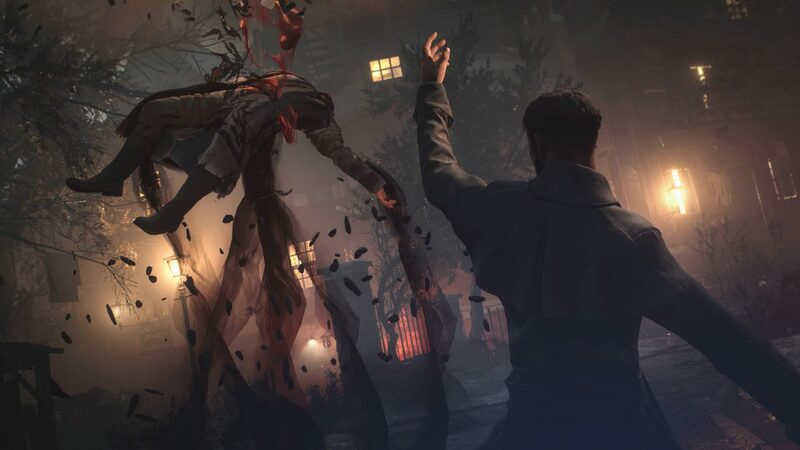 Overall, the action in Vampyr is well-balanced challenging – appropriately savage but never unfair. Like a vampire’s immortality comes at the expense of being burned by the sun, Vampyr’s superb character-based storytelling comes at a price as well. Though combat is tightly tactical, what’s really missing is a satisfying depth of arcadey complexity to augment melee combat. At times, simply monitoring your stamina, dodging and tapping the square button to continue your chain of attacks can get samey when fighting weaker enemies. A more sophisticated system of counterattacks, parrying and combos seems to be missing. Also, there are other irritations such as text being oftentimes absolutely tiny, which makes it borderline impossible to craft or buy and sell unless you scoot right up to your TV. 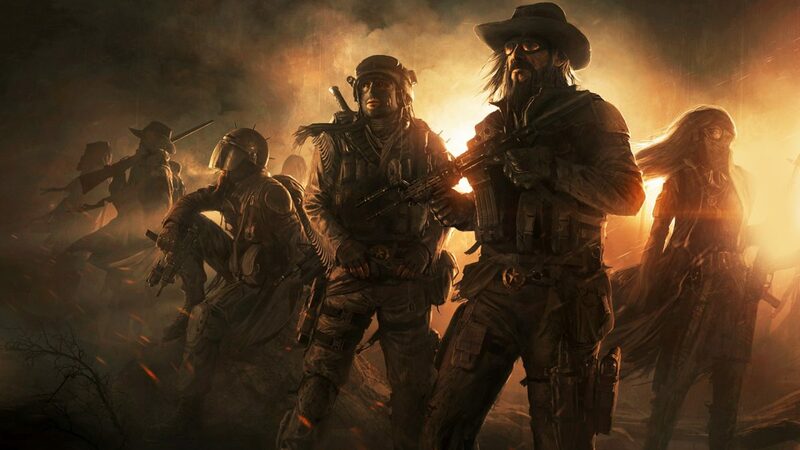 Another bother is the lack of variety in encounters when back and forthing over London streets, with you often encountering the same gang of Priwen guardsmen in the exact same places and postures many times over. 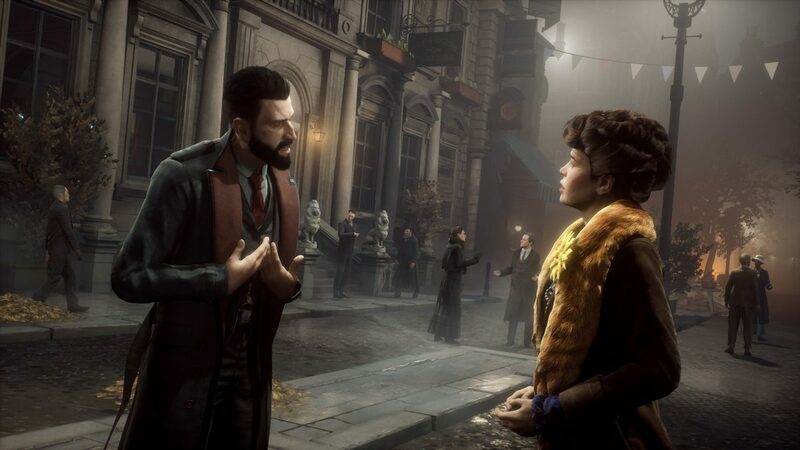 There’s a lack of fast travel in Vampyr, which does make proceedings feel more immersive as you jog through London’s darkened streets and warp over its balconies, but this can sometimes make traversing the city feel repetitive during the mid to late game. 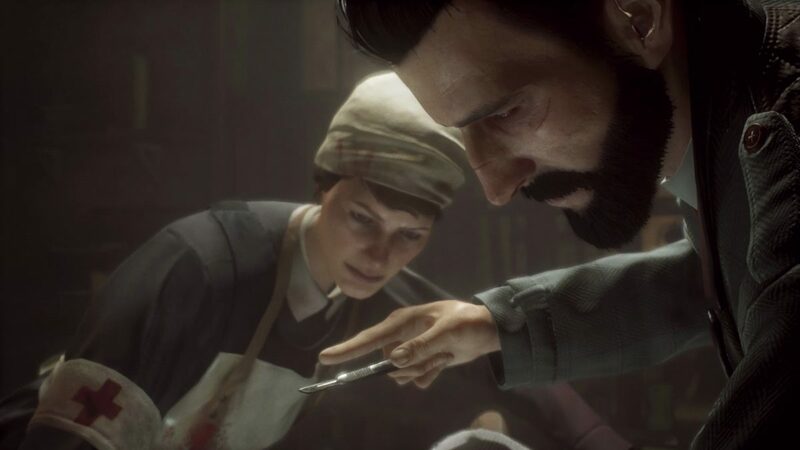 Vampyr is a remarkable step forward for choice and consequence focused games, and could well be the blood-soaked harbinger of a new movement in interactive storytelling. Roguelikes with permadeath can simulate the high stakes of life or death struggles, but Vampyr strives to make you feel responsible for the effects your actions have on others as well. Whether you’re a nightstalker who thrives at feasting upon unwitting mortals or you strive to still your bloodlust, there’s always an incredible sense of power you have to change the fate of this gothic world and its inhabitants. 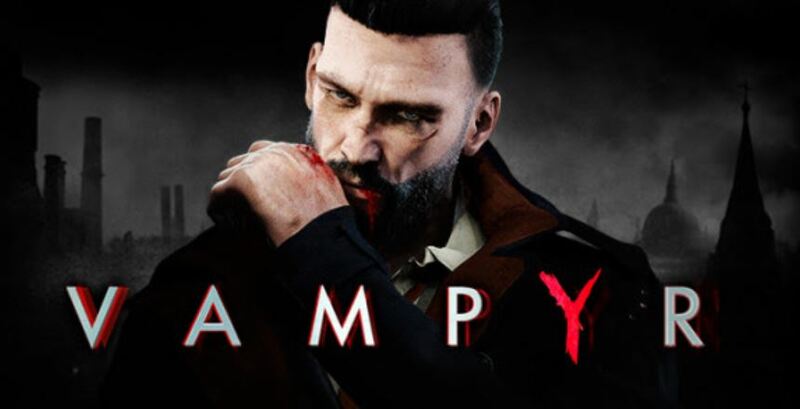 If you’ve slumbered too long, passing the time with linear games populated by blandly interchangable characters, then Vampyr will provide some richer sustenance to sink your teeth into! Full disclosure: This review is based on a PlayStation 4 copy provided to Hey Poor Player by the publisher.